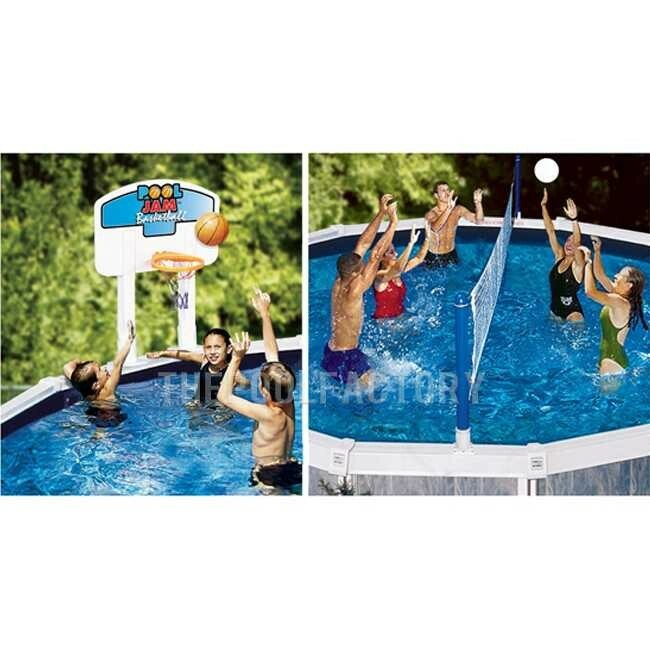 Swimline NT202 Above Ground Pool Jam Combo Basketball & Volleyball 9191 Complete above ground pool volleyball / basketball set. Hardbody design with super-size basketball backboard and break-away rim. 30 foot cross-pool volleyball net.